Free RV Electrical Seminar: RSVP Today! 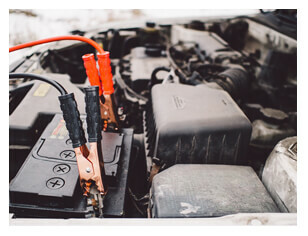 It’s important to have a good working knowledge of your RV electrical system to avoid potential issues down the road. Join us at Wilkins RV Bath, Churchville and Victor, NY locations on Saturday, November 10th for 2 workshops on RV electrical systems and components. In this free workshops, you will learn the capabilities and limitations of your RV electrical system and the many different options to power your RV so you don’t end up sitting in the dark. This first workshop starts at 10am and covers the basics of converters, inverters, batteries, generators, amperage vs volts vs watts as well as protecting your RV electrical system. At 11am, immediately following the first workshop you will learn learn about TV’s, satellites, solar, radios, back-up cameras, leveling systems and more. As RVs have advanced, so have the electronics within them. Get the most out of your RV’s latest cutting edge technology. Registration is required for all our free RV seminars and space fills up fast, so make your reservation today. Mark your calendars for upcoming Wilkins RV seminars in 2019! Join us for our special First Time Buyers seminar! In this informative two hour session, Our qualified RVIA service personnel will educate you on the secrets of RV’ing the fun way. Towing an RV requires a different way of driving.We will cover important towing tips for increased safety and enjoyment during your RV travels. We will assemble a panel that includes RV technicians, a product specialist, a finance manager and a parts specialists to answer all of your RV’ing questions. This is your opportunity to find out everything you’ve wanted to know about RVs. In this free 90 minute informative session, we will walk you through many of the items that your manufacturer and component suppliers recommend you inspect on an annual basis. These towable and motorhome inspections are designed to prevent or identify potential problems that could lead to future mechanical breakdown. Knowledge is power! To find out any additional information on our Wilkins RV free seminars, Contact Us. If you’re planning on attending please RSVP to reserve your space today!